The Taste of Chicago has been rapidly slipping in years past due to rising cost of tickets, sample portions had gotten smaller not to mention the concern of widespread violence in the city. Tourists concerned about safety and would it exist at the world-renowned event. The City of Chicago is going to give it the good old college try!! The 34-year-old food extravaganza is scheduled to take place July 9 through July 13 and the musical lineups are nothing short of interesting. 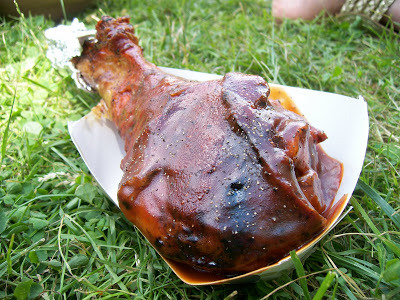 Taste of Chicago 2014: Turkey legs are back! Well, we knew Dominick’s wasn’t coming back. But plenty of other restaurants and food trucks are gearing up to participate in Taste of Chicago, July 9-13 in Grant Park. City officials Wednesday announced the names of 66 participating food vendors, a mix of 36 restaurants that will serve food for the festival’s five-day run, 13 pop-up restaurants that will appear for one or two days, and 17 food trucks, which will be on the Taste site on a rotating basis (there will be 11 trucks at Taste each day). And after a two-year hiatus from Taste of Chicago, Manny’s Coffee Shop will return, meaning that barbecued turkey legs — one of the most popular food items at Taste and the dish that critics of Taste love to hate — will be back. Owner Ken Raskin says that Tim McGivern, who introduced the barbecued turkey leg to Taste in 1981, will serve as consultant to Manny’s during Taste. Another iconic foodstuff will be featured at Taste, but for the first time. Big Cheese Poutinerie, a Calgary-based restaurant whose only U.S. location is in Chicago, will be dishing up poutine (fries covered in cheese curds and gravy) in traditional and creative versions. Other new participants (22 of the 66 participants are first-timers) include Chicago’s Dog House, Lawrence’s Fisheries, M Burger, The Savoy and SpritzBurger. New pop-up restaurants include Brasserie by LM, Kamehachi, Mayan Sol Latin Grill, Restaurant Veneno de Nayarit and Stan’s Donuts & Coffee. Harold’s Chicken, which for many years had a booth at Taste, returns this year as a food truck, along with newcomers Bridgeport Pasty, Chicago Lunchbox, Ms. Tittle’s Cupcakes and Windy City Patty Wagon. Familiar faces returning to Taste include Bacino’s, Beat Kitchen, BJ’s Market & Bakery, Bobak Sausage, Carbon Live Fire Mexican Grill, Connie’s Pizza, Eli’s Cheesecake, Iyanze, Kasia’s Deli, Lou Malnati’s, Original Rainbow Cone, Robinson’s No. 1 Ribs, Smoke Daddy, Tuscany and Vee-Vee’s African restaurant. 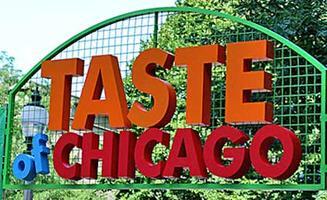 Find a complete list of participants and other information at tasteofchicago.us.